Uber and other ride-sharing services will be legally able to enter the Canberra market from October 30 after reforms to ACT legislation. The ACT Government said the territory would be the first jurisdiction in Australia to regulate ride-sharing before services like Uber entered the market. In other states and territories authorities have cracked down on Uber, with drivers facing fines and registration suspensions. Earlier this month ACT taxi drivers undertook at three-hour strike to protest the imminent arrival of Uber. They claimed without changes to legislation, services like Uber would have an unfair advantage over traditional taxis. Today, the Government said the changes to legislation would also reduce costs for the existing taxi industry, ensuring they remained competitive. Under the reforms, taxi licence fees will be reduced from $20,000 to $10,000 from October 30 and then $5,000 a year later. Hire car fees will be slashed from $4,600 to $100 a year. An app-based service connecting customers with drivers who use their own cars to provide transportation. Available in 60 countries and established in 2009. Uses GPS to find a customer’s location and connect them to the nearest driver. Customers pay using the app and no cash is handled in the vehicle. The price is charged per minute or per kilometre plus a base fee, and can change depending on demand. Drivers must pass a background check, have insurance and have a registered car. Offers a range of service levels – the two most common are UberX and UberBlack. UberX is the budget option, which connects registered drivers who use their own, everyday cars to provide lifts for customers. Generally cheaper than a taxi. UberBlack is a more expensive luxury version of UberX, in which customers are picked up in a “high-end” black sedan, by a professional chauffeur with a commercial license and commercial auto insurance. Other services include Uber SUV, Uber Lux and Uber Taxi, however these are not available everywhere. A new Transport Booking Service will replace Canberra’s traditional taxi network, and will cover services like Aerial (the company in charge of Canberra Cabs), Uber and goCatch. But the legislation will also allow accredited taxi and hire car drivers to carry passengers through services such as Uber, if they and their vehicles meet certain conditions. That means on-demand drivers could have access to multiple modes of business, from traditional taxi rank and hail work, to ride-sharing and third-party taxi-booking apps. Though, the ACT Government said Uber and other ride-sharing services would have to meet certain conditions in the Canberra market, prioritising safety through car inspections, driver assessments and driver medicals. Appropriate compulsary third-party (CTP) and property insurance would also be required to be in place. As well as having a zero blood alcohol level and being drug-free, Uber drivers would be unable to collect passengers at traditional taxi ranks or stop in taxi, bus or loading zones. The ACT Government said there would be no changes to the booking system for the wheelchair accessible taxi service or the Taxi Subsidy Scheme. 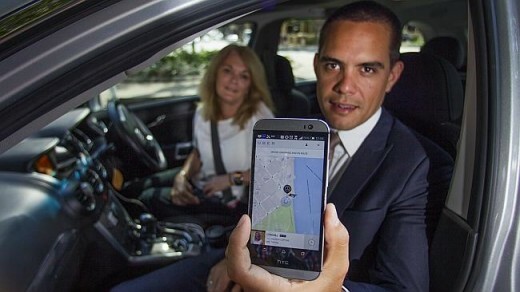 Two services will be offered by Uber in Canberra – UberX and UberBlack. UberX is a budget service using everyday drivers in their own personal cars, while UberBlack is serviced by professional chauffeurs in a black car. ACT Chief Minister Andrew Barr told ABC 666 Canberra’s Philip Clark the ultimate aim was to improve transport options and affordability for consumers. “What we’re seeking to do here is to improve transport services in Canberra… the expectation from where Uber has entered the market elsewhere is about 20 per cent cheaper than taxi fares in those cities where they are operating,” he said. We’ve been calling for over a year now for regulations to be put in place… Unfortunately Australia’s been pretty slow with it, but Canberra has set the tone we hope spreads across Australia. “We’ve certainly sought to achieve that… to give big, big reductions in fees to existing operators in the taxi and hire car industry, in order to prepare them for what will be the influx of a range of new providers,” he said. Uber Australia’s general manager David Rohrsheim said the ACT Government’s approach was to be applauded. “We’ve been calling for over a year now for regulations to be put in place… we expect to be regulated and we want to see regulations that enshrine safety standards, vehicle inspections, insurance,” he said. He said the ACT Government had provided the right framework for Uber to operate in Canberra. “The emphasis is on making sure the drivers have appropriate background tests done, the vehicles are inspected and there’s insurance in place,” he said. Other states and territories around Australia have taken a less welcoming approach to Uber. This month Roads and Maritime Services in New South Wales cracked down on Uber drivers, issuing registration suspensions and fines. Liberal Democrats Senator for New South Wales David Leyonhjelm said the move to legitimise Uber in Canberra made the NSW Government look like “a bunch of slack-jawed banjo-playing yokels”. 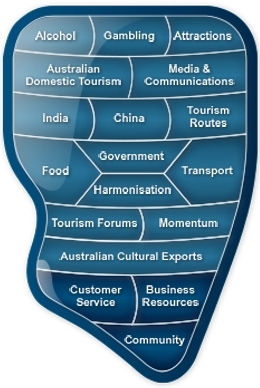 “This is a serious issue for our tourism industry, and they make the rest of us look the same way,” Senator Leyonhjelm said. Senator Leyonhjelm said the extravagance of politicians had outraged many people this year and Prime Minister Malcolm Turnbull should to show his commitment to fixing parliamentary expenditure problems by allowing politicians and staffers to claim Uber fares.